Paint. 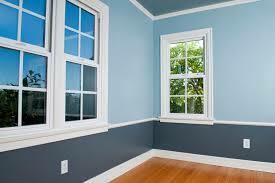 A coat of paint can make a Milwaukee house, inside and outside, look brand new. There are few things so affordable and so easy that will make such a major impact on the appearance of your Milwaukee home. Coordinate kitchen appliances. Many times you walk into a kitchen that is just a design disaster. A mix-matched kitchen with different color schemes of the microwave from the stove which is also different from the refrigerator. Even finding used but coordinated appliances for your home in Milwaukee can have a great appeal in the kitchen. To keep it affordable look on craigslist or Facebook marketplace, you can often find great deals within minutes of the Milwaukee area. The kitchen is one of the most important parts of the home. The kitchen in the buyer’s mind is a place where they can entertain and bond over home-cooked meals. 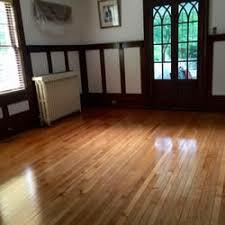 Touch up your floors/carpet. If you find your wooden floors are looking a little rough then take the initiative to get them done so they can return to their nice shiny original state. If you have carpet then get a professional carpet cleaner to remove the stains, discolorations, and odor that is often overlooked. Dingy looking carpets are a huge turn off for buyers. Improve curb appeal. Whats the first thing a buyer sees when they arrive at your property? They see the landscape and the outside look of the home. I’m sure we all know first impressions are important, so why not take the time to doll up the lawn and if the outside of the house looks dull opt for a power wash. A nicely mowed lawn with a couple of welcoming flowers in front view would do wonders. Throwing some red mulch down makes a place look really cared for. Limited Bathroom Remodel. By refinishing your old Milwaukee home tub and shower it can make a poor looking tub brand new. Adding new fixtures, including faucets, drawer pulls, door knobs and cabinet handles can drastically improve the look and feel of the bathroom. Each of the improvements is going to vary in cost. As well as the payback of each improvement. However, these are a sure fire way to add some more value to your home whether your selling or just looking to make improvements. If, on the other hand, you’re considering selling without making any repairs, you can read about How It Works and get in touch with us if you’d like a cash offer. If you’re still wondering Who We Are, you can read more about that Who We Are.